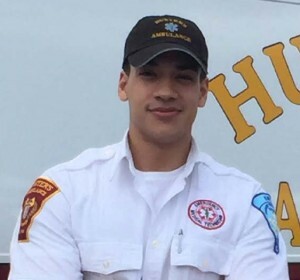 Jesus Zenon joined Hunter’s Ambulance Service in March of 2011 as a Non-Emergency Driver. He later went on to successfully obtain his Emergency Medical Technician Certification in May of 2014. Jesus is known by his supervisors and peers as being helpful and willing to do whatever is needed to assist with call volume and operations. Jesus always goes the extra mile, and as a result of this leadership-by-example he elevates the performance of others. There are numerous patient and coworker accolades in his file; each and every one of them compliment Jesus for being proficient and compassionate during transports. Jesus is being honored as a Star of Life for his exceptional professionalism and commitment. Hunter’s Ambulance is privileged to have such a dedicated member of our EMS team.